There is only one appeal in the Supreme Court this week. 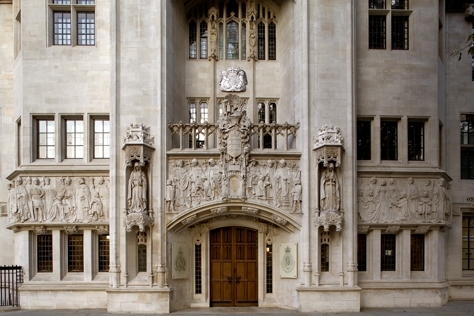 On Tuesday 29 and Wednesday 30 March 2011, Lords Phillips, Walker, Mance, Collins and Clarke will hear NML Capital Ltd v Republic of Argentina. The Court will decide, in a claim against Argentina for unpaid interest on issued sovereign bonds subject to New York law and containing a clause dealing with jurisdiction and immunity in relation to claims, whether (1) proceedings to enforce a foreign judgment in England on sovereign bonds relate to the bonds in a manner within the terms of the State Immunity Act 1978, s 3; (2) the Civil Jurisdiction and Judgments Act 1982, s 31 provides a comprehensive code for the recognition and enforcement of foreign judgments against a sovereign state; (3) on a proper construction of the bonds, there was a submission to the jurisdiction of the English courts; and (4) a court has discretion to uphold permission to serve out of the jurisdiction on a basis not argued for on the original application. The Supreme Court case details are here and our case preview is here.On Thursday 31 March, Lords Walker, Collins and Kerr will hear a permission to appeal in respect of Virgin Atlantic Airways Ltd v Premium Aircraft Interiors (UK) Ltd. The Court of Appeal decision is here. – Duncombe and Others v Secretary of State for Children, Schools and Families, heard 17-18 January 2011 (here is our case preview). In the Privy Council, there are two cases to be heard this week. On Monday 28 March, Peter Stewart v The Queen will be heard by Lord Rodger, Lady Hale, Lords Brown, Kerr and Dyson. This case from the Court of Appeal of Jamaica whether the Appellant’s conviction is unsafe because (1) his counsel failed to adduce that he was of good character and the judge failed to give a good character direction; (2) the judge failed adequately of properly to direct the jury in respect of the dock identification of the Appellant; and (3) the judge failed adequately or properly to direct the jury about identification evidence provided by the witness for the prosecution. Here are the case details. On Tuesday 29 March, the Privy Council will hear another case from the Court of Appeal of Jamaica concerning the murder of Mr Dexter Taylor. In Rohan Vidal and Kevin Thompson v The Queen, Lord Rodger, Lady Hale, Lords Brown, Kerr and Dyson will decide whether the conviction of the Appellants is unsafe because the judge failed to (1) direct the jury properly in relation to hearsay statements of someone who did not give evidence and who, apparently, corroborated the only witness to the murder; and (2) direct the jury that the Second Appellant’s good character was relevant to propensity as well as credibility. The case details are here. – Curtis Francis Warren and others v. Her Majesty’s Attorney General for the Bailiwick of Jersey (Jersey), heard 9 February 2011. Fraser v Her Majesty’s Advocate, heard Monday 21 – Tuesday 22 March 2011. Bloomsbury International Limited and others v Sea Fish Industry Authority and Department for Environment, Food and Rural Affairs, heard Wednesday 23 – Thursday 24 March 2011. Leave a reply on "In the Supreme Court w/c 28 March 2011"